Register for the Non-Invasive Vascular Imaging Course | Heidelberg Engineering Ltd. Registration is now open for the Non-Invasive Vascular Imaging Course taking place on the 10th May and 30th October 2019. Find out how MultiColor and OCT angiography imaging can be used to aid diagnosis and learn more about the image acquisition and interpretation of these modalities. Both courses feature a special guest speaker. 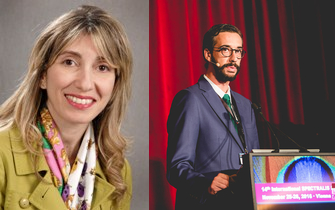 On 10th May Dr. Roberto Gallego-Pinazo, Valencia, Spain and on 30th October Dr. Gabriella De Salvo, Southampton, UK.